I received this product to review. All opinions are 100% my own. This post contains affiliate links. 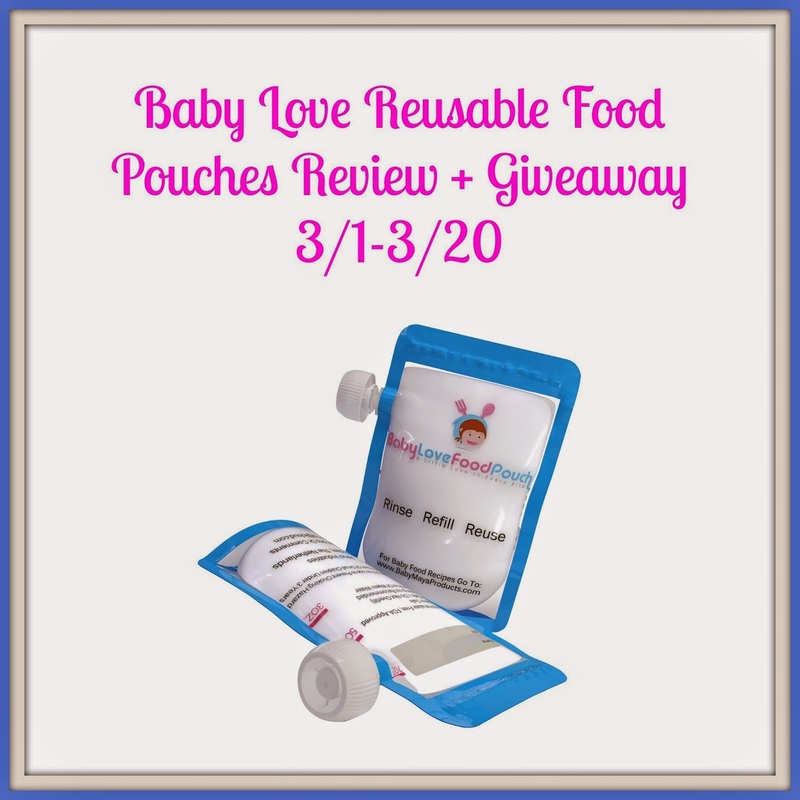 I was very excited to review Baby Love Reusable Food Pouches. My kids are no longer babies but they love to have applesauce and other things in a pouch. I noticed a few years ago when my oldest was a couple of years old pouches were showing up everywhere in the stores. Of course we loved them because they were easy. One problem is they are highly expensive and you throw away the containers each time. Thank you for allowing me to bring this giveaway to the readers of Tales From A southern Mom, we all love things that are better for us, our kids and the environment. Good Luck everyone! Baby Love Reusable Food Pouches I can fill the pouches up with different mixtures and they are so easy to clean and reuse. While they are great for my girls at an older age, they also really work well for babies. You can put their baby food right in the pouch and it is so much easier. Baby Love Reusable Food Pouches are great whether you are at home or on the go. We used to live about 20 miles from anywhere. Baby Love Reusable Food Pouches are perfect for those trips to town. Baby Love Reusable Food Pouches comes with 8 pouches and extra lids. Anyone with children knows how easy it is to lose something as small as a lid. I really loved that extra were included. There is also an ebook that contains baby food recipes. Baby Love Reusable Food Pouches are also dishwasher and freezer safe! What more can you ask for! We really enjoy Baby Love Reusable Food Pouches, we use them numerous times a day. You can check them out yourself here . This giveaway is US only, 18 or older. Only one entrant per household. Giveaway ends on March 20 at 11:59 PM EST . Winner will be notified by email and has 24 hours to respond. If there is no response during that time a new winner will be chosen. Good Luck Everyone!! Entry-FormHere We Go Again …Ready? received this product to review. All opinions are 100% my own. I only recommend products I feel will benefit my readers. Here We Go Again…Ready is not responsible for the distribution of this prize. The Sponsor is responsible for prize. This contest is not associated with Facebook, Twitter, or any other social media. I have not tried these yet but I want to. no i have not they would be shower gift! I have never tried pouches before, but I’ve seen them in stores! I have not. I am not due with my first until May 1st, but I would love to make baby food for her and use reusable pouches!